Local councils are shelling out thousands on compensation for damage caused by potholes to vehicles. Why not spend that money on actually fixing them?! The recent cold weather has really taken its toll on the roads as more potholes come a cropper. Despite paying through the nose, local councils are allowing our roads to deteriorate year on year. It has been reported that road maintenance in England and Wales is underfunded by around £1 billion every year (55%), according to potholes.co.uk. No wonder some critics have suggested it won’t be long before our roads are comparable to those of a 'third world country'. Water seeps down below our road surfaces and then freezes in the winter. This pushes up the asphalt and causes holes. But it is not just the weather that is causing such havoc. Other contributing factors are vastly increased traffic flow, which is putting pressure on roads of all sizes throughout the UK, and the constant digging up of our roads by utility companies. When electricity and water companies perform repairs to their cables and pipes, they tend to simply patch up the road rather than resurfacing it, and this makes them more susceptible to damage. With the vast profits that these companies make perhaps they should be forced to make proper repairs in future! What damage is being done? Our vehicles are suffering from these uneven surfaces. The most obvious damage is to our wheels, with both wheel rims and punctured tyres being major complaints. Driving on a consistently uneven surface can also take its toll on our suspension, steering mechanisms, exhausts and roll bars, which can rattle free with the constant abuse. Each county council will have a specific procedure for compensation claims, so make sure you check your local council’s website for specific information. Remember, you can claim for damage to bikes and motorcycles as well as cars. As a general rule of thumb, if you aim to follow the steps below you won’t go far wrong. Take a photograph of the pothole and note down its rough size and depth as well as its precise location (make a sketch of the area if you can). Report it to your council using the reporting procedure specified on your council’s website. If the council has not repaired it within a reasonable time (some say around a week is enough time to give) then this should strengthen your case. Consider submitting a Freedom of Information Act request to the council or Highways Agency to find out as much as you can about the road and its maintenance history, as this could also strengthen your case. Put all your complaints in writing and ensure that all contact with the council is done via letter or email (a phone call can always be denied). In your letter include: a full description of the accident, where and when it was (date and time), your photographs and your sketch plan of the area. Also include a copy of your repair bill for the damage caused and keep copies of all your letters! Consider Twitter too. Tweeting will put pressure on your local council as its other followers are likely to see the tweet. The free RAC Report Pothole app uses GPS to quickly identify where you are and can send a report to your local council automatically. You can send up to three photos of the pothole as well as signange problems, street light problems and more. It's available on iOS and Android. If the council makes you an offer you should give it proper consideration even if you are not entirely happy. If you wish to fight on, your next option will be to take court action. Provided your claim is for under £5,000 you can take action in the Small Claims court. You won’t need a solicitor and you can issue proceedings online via their MoneyClaim Online system. Am I likely to get a pay-out? It won’t be easy! The council will vigorously defend itself under section 58 of the Highways Act (which basically states they just have to prove they have taken ‘reasonable’ care of the road). But that doesn’t mean you shouldn’t try. While evidence suggests that the vast majority of claims are automatically turned down in the first instance, persistence is key. Authorities currently pay out more than £30 million in compensation for potholes so it's worth your time. Each individual pothole costs on average around £53 to repair, but records show that a compensation pay-out can be anywhere up to £3,000. With councils paying out hundreds of thousands each year in compensation, why isn't the money being earmarked for repairing the roads instead? 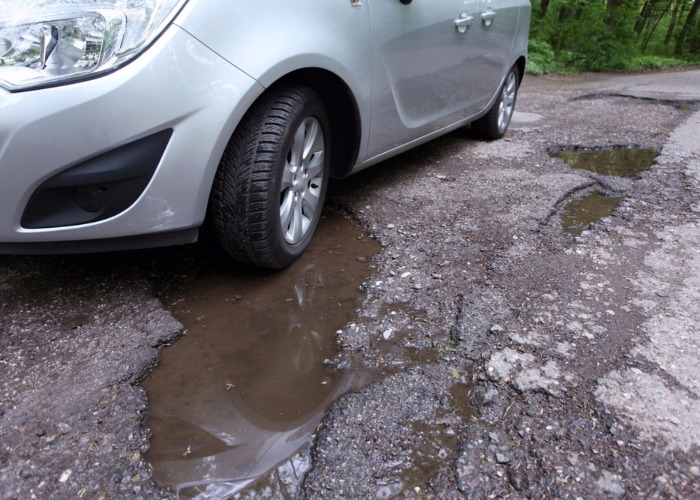 If you are successful in your compensation claim, and are feeling particularly altruistic, you could consider returning your pay-out to the council on the proviso that they repair your neighbourhood roads. You will be a local hero!